SYSTEM 2 For Sebum Active Scalp, Normal to Fine Hair. SYSTEM 4 For Normal to Dry Scalp, Chemically Enhanced Normal to Fine Hair. SYSTEM 5 For Sebum Active Scalp, Naturally Dry, Normal to Coarse Hair. SYSTEM 7 For Normal to Dry scalp, Very Dry and Damaged Chemically Enhanced Hair. 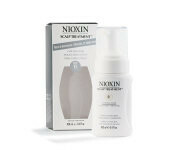 Volumizing Cleanser that gently removes toxins, residue and DHT from the hair and scalp skin. Provides the hair nourishing vitamins, proteins and amino acids. Daily hair and scalp conditioner that moisturizes and energizes hair and scalp with essential oils, special antioxidants and enzymatic complexes. Intensive leave-in booster for excessively thin-looking areas and low density hair lines. Contains vitamins and protects follicle against phototoxic effects of sunlight and damaging effects of DHT. Daily leave-in scalp treatment with SPF15 sunscreen to protect scalp skin from harmful UVA and UVB rays. Delivers essential nutrients, antioxidants and cytokines (proteins) onto the scalp and hair to help safeguard against toxins and DHT buildup. A proprietary blend of Marine Concentrates (blue, green, red and brown algae) promotes super nutrition with vitamins and herbs and provides the required balanced nourishment to promote the healthy growth of hair and nails and give more radiant skin. Volumizing cleanser that gently removes toxins, residue and DHT from the hair and scalp skin. 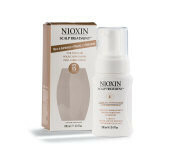 Safeguards the scalp from drying irritation while preventing color fadage. Extends the longevity and vibrancy of hair color. Daily hair and scalp conditioner that safeguards the scalp from drying irritation of chemical services and moisturizers and energizes hair and scalp without adding weight. Daily leave in scalp treatment containing SPF15 sunscreen to protect scalp skin from harmful UVA and UVB rays. Delivers essential botanicals, nutrients, antioxidants and vitamins onto the scalp and hair to help safeguard against toxin and DHT buildup. Hydrating cleanser for normal to coarse, naturally dry and hard hair. A unique blend of Kukui Oil and Silk Amino Acids, gives hair moisture, natural shine and smooth control. Deep conditioner moisturizers and energizes hair and scalp for smoother hair and optimum scalp environment. A unique blend of Kukui Oil and Silk Amino Acids gives hair moisture, natural shine and smooth control. Anti-frizz smoothing polish that adds moisture and smoothness to hair. Calms and moisturizes dry ends while controlling frizz in all levels of humidity. Flexible control and reflective shine gel that controls frizz and allows versatile styling for a straight sleek look or soft natural curls. Helps maintain scalp health with a formula free of damaging alcohol and PVP’s. Hydrating Cleanser with unique blend of Kukui Oil and Silk Amino Acids helps enhance color and prevent color fadage and damage. Deep conditioner that safeguards the scalp from drying irritation of chemical services and moisturizers and energizes hair and scalp with blend of Kukui Oil and Silk Amino Acids for smoother and natural shiny hair. Leave-in hair treatment conditioner that offers thermal protection and repairs dry and damaged parts leaving hair soft, silky and smooth. Regular use promotes accumulative benefits for the hair. Strengthens damaged cuticles, balance moisture while protecting hair from drying effects of thermal styling and the sun. Provides volume and strength to the hair shaft. Gives dimension and curl definition while adding Shine without build-up or weight. Extra Hold Gel that gives definition and shine with a formula Free of PVP’s, Alcohol and film formers. Extra Hold fast drying non-aerosol hairmist protects against frizz and maintains style. Extra Hold hairspray for flake-free flexible styling techniques and strong working hold.